A short story set during a Beach Bocce tournament. 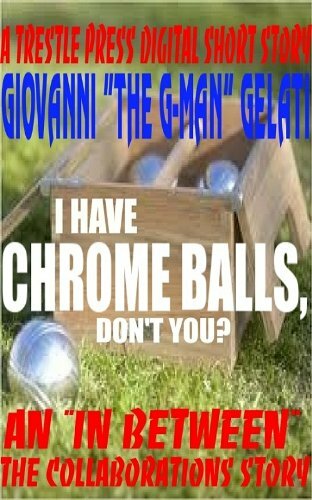 Will Giovanni “The G-Man” Gelatti the reining champ defeat “Big Balls” Cannoli in the grand final? I was in a pretty upbeat mood when I read this short story. However, had I not been this would have been just the tonic to pick me up. Actually as I laughed out loud at a couple of the double entendres cunningly woven in by the author I thanked god that I was not sat on the bus. This is just the kind of humour that floats my boat and I’d have laughed out loud and the old lady that seems to always sit next me would have shuffled away with that look on her face. Again. Well written, descriptive and above all fun. Go on read it and put a smile on your face. Reading this story has also made me to play Beach Bocce. I’m going to go buy some shiny balls from eBay right now!